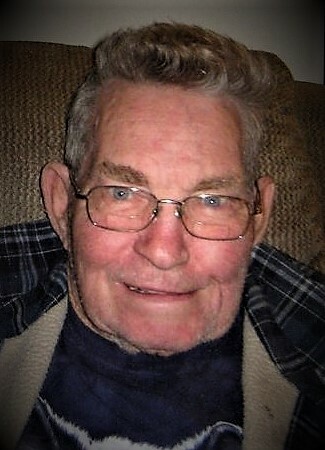 On January 27, 2019 Mr. William “Wild Bill” Ralph Cheffy; husband, father, grandfather, son, and brother; finished his journey at the age of 88 surrounded by his loved ones. He was born to Ralph and Mary (Baker) Cheffy on September 20, 1930 in Island Grove Township, Illinois and grew up the second oldest of five boys. He married the love of his life, Betty Conrad on December 24th, ­1953. They shared an amazing love together for nearly fifty years until her passing in 1999. The love they shared did not end with death but will live on forever. William was a Korean War veteran serving his county in Korea for a year with the United States Army. While he was proud of his service to the country, he was modest in accepting acknowledgment for his sacrifice. He was honorably discharged and returned home to father five children with wife Betty. They made a home in Springfield Illinois to raise their children and become life long residents. William was also a proud and active member of the Fraternal Order of Eagles. William spent most his life building businesses and homes throughout Springfield and surrounding areas as a skilled carpenter and builder. He was a hard worker often putting in long hours to support his family. He truly was a family man who enjoyed pranking his children, making them laugh, and teaching them how to be strong. His grit, determination, and strength provided a foundation that allowed the people around him to make mistakes but also the ability to withstand the lessons life gave them as a result. He had the brightest blue eyes that light up any room he entered and twinkled when he was up to no good. He was quick to laugh or smile at some mischief he put in place such as pulling practical jokes or challenging others to insane dares. William enjoyed wood working and was known to give his projects as gifts to his friends and family. He lived a simple life enjoying family outings, flirting with his favorite waitresses at Parkway Café, and rooting for his favorite baseball team, The St. Louis Cardinals. He was truly a country boy at heart who was an avid gardener, reader, and western movie enthusiast. One of his favorite pastimes was spending time watching ballgames and talking about life with his best friend Lindsey Hickman. William’s tenacity for taking life by the horns was one to be admired and respected. In his later years he suffered medical issues that would likely devastate a weaker individual but instead Mr. Cheffy fought back and worked until he was 80 years old. Through all his hardships, losses, and upsets in life, William kept his sense of humor and had a smile for everyone. William is survived by his two daughters Toni Sanders of Springfield Illinois and Mary Pearman of Jones, Oklahoma, one brother James Cheffy of Rochester, numerous grandchildren, great grandchildren, and great great grandchildren. He is also survived by a host of nieces, nephews, friends, and extended family. He will hold an incredibly special place in the hearts of those that knew and loved him. William is preceded in death by his wife Betty Jane Cheffy, his three sons James William Cheffy, Ralph Eugene Cheffy III, and Robert Wesley Cheffy, his parents Ralph Cheffy and Mary Baker-Cheffy, and his three brothers Charles Robert Cheffy, Thomas Cheffy, and Edward Eugene Cheffy, two sister in laws Rita Marie Cheffy and Eleanor Louise Cheffy. To remain beside his wife in death, William chose cremation. A memorial service will be announced by the family later in Springfield Illinois. He lived, laughed, and loved all through life and we will do the same in his memory.